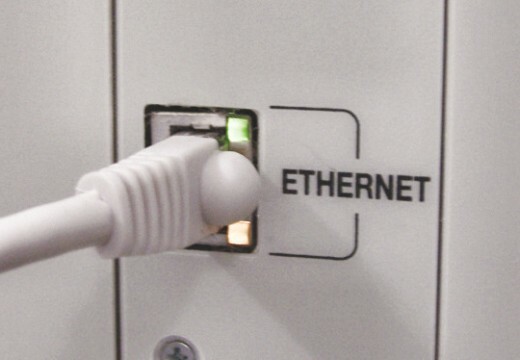 Faster connections to the Internet from phone lines are possible through a Digital Subscriber Line Access Multiplexer (abbreviated to DSLAM). 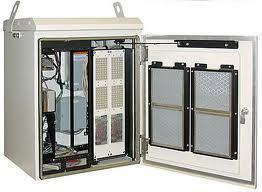 The role of this network device is located in the telephone exchanges of providers for the services. The service works by taking advantage of the multiplexing techniques used to connect several Digital Subscriber Lines to a high speed connection which they share. These can be placed along remote areas to provide DSL services to once out of reach locations. These additions may be costly to the telephone companies, but it allows them to receive more subscribers to their services, as they would be able to take advantage of DSL services now available in their area. The DSLAM equipment at the local telephone company will collect data from several modem ports and multiplexes the synchronized composite signal of both voice information and connection data. The DSLAM moves the connections over to DSL lines which are processed through an Asynchronous Transfer Mode, a Frame Relay or the Internet Protocol Network. This traffic is routed through the backbone switch through an Access Network which connects through the Internet Backbone. The DSLAM is designed to simply network the connections as appropriate and provides an access point between the customer and the ISP. The DSLAM may have enhanced capabilities which may allow for the monitoring of bandwidth consumption by each customer as well as providing compensation for bandwidth leeching through setting bandwidth speed caps for certain connections. Not all DSLAM locations are capable of this function. DSLAMs are not only used for Internet connections; several hotels, lodges and residential areas as well as businesses utilize them to have their own private telephone exchange or specialized network. They may or may not be used with a digital loop carrier to service multiple data and voice customers with a serving area interface. Chassis – the chassis must be able to withstand trauma as well as be properly insulated to prevent unnecessary arcs which may cause damage to the DSLAM and any components. Cabling – the DSLAM requires a large amount of cables to be routed within its chassis to make all of the connections possible. Upstream Links – the upstream links use gigabit Ethernet or multi-gigabit fiber optic links to process the data out of the DSLAM from the customers. ADSL connections usually have slower uplinks while SDSL connections are much faster. Customer Location – A DSL modem must be in use and ready to accept the connection. The modem will attempt to train by dialing the appropriate access number to the DSL service provider through the local loop. The Local loop – The local loop is the group of telephone wires which are used to send the data between the customer and the telephone company. The central office or a servicing area interface must accept the dialing in of the data from the modem which it then processes through a DSLAM. The DSLAM – The device or DSL service which will be accepting the connection from the modem and rerouting it to a main distribution frame. The DSLAM makes it possible to send both data and voice data on the same line through the downstream for the DSL line. The separation of the data and voice streams is done through a special filter on the customer’s side which is placed before the modem telephone cable. The data which is being transmitted from the customer’s side, is then sent through the DSL service provider along with the phone voice signals, to the voice switch on the telephone company’s side. The Main Distribution Frame – The Main Distribution frame is a special connecting rack which is designed to connect the subscriber lines with internal lines. This allows access from outside lines to gain access to internal networks on the system. In most setups for a Main Distribution frame at the telephone company, the design requires both the cable vault and the telephone switch to be within proximity to each other, to properly reduce interference and keep strong signals. The Main Distribution hands over the data connection to the Handover Distribution Frame. 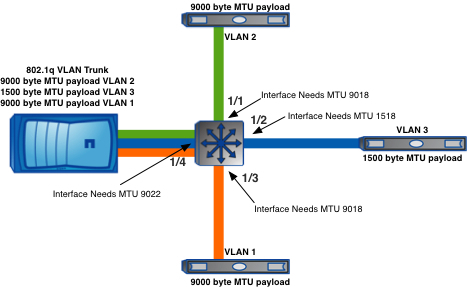 The Handover Distribution Frame – The Handover Distribution Frame is the last location in which the data must travel to allow for the local loop to reach the service provider’s DSLAM. This connection is usually very stable for customers which are very close to the local loop. Use as a Multiplexer – The multiplexing abilities of the DSLAM are very complicated and perform the necessary encoding of both voice and data signals through the phone company and through to the ISP. Some DSLAMs can do this for several hundreds to thousands of connections at one time. This requires a large amount of resources to pull off and keep going smoothly. Use as a Data Switch – The data switching capabilities of the DSLAM are important to providing a connection to the internet. The data switching allows connections between services and is required for use by several different customers at once. Once a switch on the board is free, it becomes available for another connection to be made through. Collection of Modems – The DSLAM is also a large collection of modems which are designed to patch the customers through to their appropriate services. The modems within the DSLAM are capable of adjusting the line to remove echoes and other disturbances from the line to compensate and increase the bandwidth for the maximum connection rate possible. It is entirely possible that longer distances can receive faster connections than estimated, but this is due to several factors as well. One of the most common reasons why slower connections are experienced is due to the amount of traffic on the line at one time. If there is a single customer connecting through the line, a faster connection may be expected even with the limits from the distance between the customer and the telephone company. Can any one guide me how will be the connection of DSLAM switch with existing PBX system. I have some Nokia Siemens Surpass hix 5630 ip dslams. My querry is how much such go for. In the range versus speed table above, what cable is assumed? In my case, i see a flat wire used from the telco’s DSLAM (i.e. not tiosted pair) to my building. Is there any standard regulating the use of wire from the DSLAM to my ADSL modem? 256 queries in 0.548 seconds.